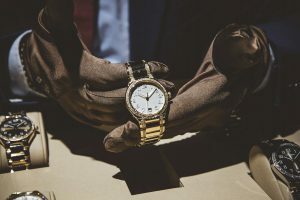 Patek Philippe launches its latest iconic timepiece in the city of style. It’s funny, who you should meet in airport lounges. So there I was eyeing the boarding time on that classic hexagonal wall clock – by the way we need to #trend these again–when at the corner of my eye, I spotted a familiar gentleman surrounded by a bunch of suits. 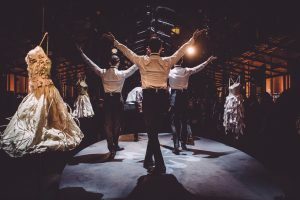 “Ah, Mr So-and-so, it’s been years … the last I remember, we were both were running to catch our flight to Buenos Aires,” I said, jogging his memory. “Are you still working at such-a-such company?” His suits jumped in, a little aghast, mind you, at this point to inform me that he had just been promoted as the Group CEO of the global luxury group he works for. What brings you to Milan, he asked. 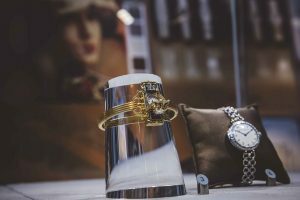 “A women’s watch launch,” I replied, not stating the brand of his competitor, “that’s all I know, a little mysterious.” Being in the trade, he put his finger on the dial and gave me the sneak preview: bracelet, remaking of an icon, round face, diamonds …you will like it! And just like that, I had the industry lowdown, and more importantly, seal of approval. With this “blueprint” in mind, I arrived in Milan on a gorgeous autumn morning, into fabulous pasta-and-truffle lunches and even a vineyard tour of Alba, waiting for the great reveal. 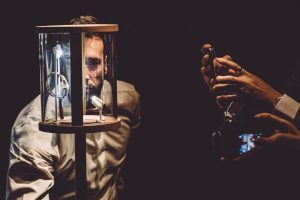 Watch launches are quite spectacular; building the scenography around these objects d’art takes a lot of imagination and storytelling. 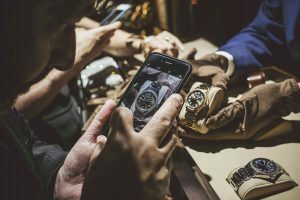 First, the showmanship, and then the watch connoisseurs and specialist writers zoom into the technical details, fawning over the intricacies and innovation with eye and appreciation. For me, the first touch points are of course at first are visual: exceptional design, character and craftsmanship, unique expression. 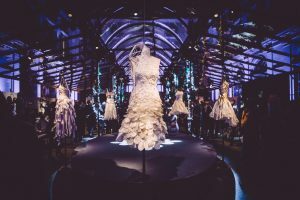 At the evening garden party launch in a greenhouse at Via Borgospesso, six paper-cut couture dresses made centerpiece of the global launch of Patek Philippe’s new masterpiece, which dramatically lifted up to the dome to reveal the five versions of the new icon: the new Twenty~4 Automatic Ref. 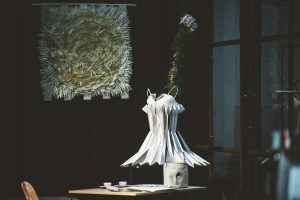 7300. All true to the rumoured “blueprint”, and I absolutely loved it! 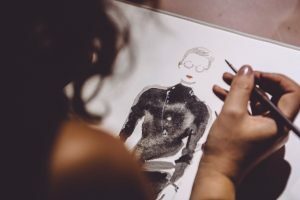 Not exactly new, one would say, the Twenty~4 Automatic is an evolution of the original Twenty-4 that was created in 1999 for the modern, stylish woman on the cusp of the new millennia. Twenty years later, the iconic rectangular manchette quartz watch with the two–tier links is reinterpreted as a self-winding mechanical movement in a gorgeous round case, glistening with fine diamonds in a dentelle lacework setting, and the caliber 324 S C as its heart. It belongs to me, my style, I thought, as I tried on the precious rose gold 36mm that curved sensually on my wrist, the diamond-set bezel on the domed sapphire crystal adding that perfect glamour for daytime or night. 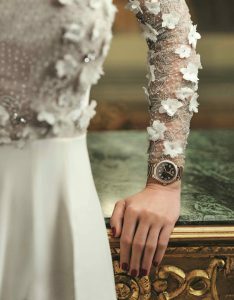 Of course, this was not the first time the prestigious Genevan manufacture had designed timepieces for its female clientele, citing Queen Victoria, European aristocrats and Hollywood stars among its patrons. 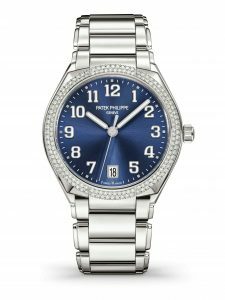 Since the company was founded in 1839, Patek Philippe has created pocket and pendant watches, complicated ladies timepieces, and precious minute repeaters, all intricately designed and lavishly decorated for les trop belle. Through the decades, more models were designed to reflect the styles and evolution of women, right into the modern and minimalist Twenty~4. Five models make the first release of the collection: two in polished stainless steel with a grey-black gradient or midnight blue dial, two in 18-karat rose gold with a chocolate brown or beige dial, all four set with diamond-set bezels; and one special version in rose gold with diamonds in the bezel and also on the bracelet links. 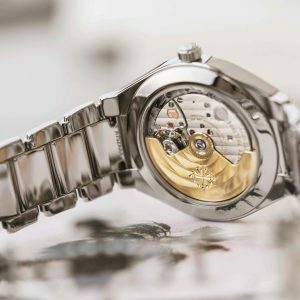 They all come with a patented new clasp, are water-resistant, and also turn around to reveal a beautiful sapphire caseback that showcases the watches’ 217-part movement in true haute horologie. 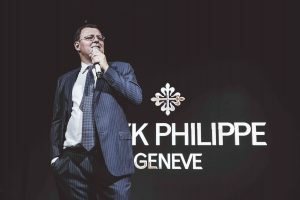 “This unique watch is meant for women who are active and truly know the Patek Philippe brand,” says Mr Stern, affirming that “men will never have the same”, and assuring that every creation comes with the high quality Genevan seal of approval.